Social media is on rise, everyday we become more engaged to our Facebook profiles, tweets and blog posts, or Instagram and Pinterest, visual social networking. We loved this game, it became a big part of our life, how we are sharing things through them. They provided us necessary platforms. If we have 140 characters to say something, we have Twitter there. Or, if you take a pic, you can share it on Instagram, pin it to your board and post it on your Facebook page. Tags: 1 billion tweets, 2012, Facebook, Instagram, Pinterest, social media, Twitter. On February 29th, Facebook revealed big plans for the mobile platform, including that the new Timeline format for brands will also be available on the mobile platform. The game changing updates mean that for users of other social media marketing platforms, the message for 2012 will be: we need to get ready for mobile. Implications for brands: Where brands can currently launch mobile-optimized marketing campaigns that users can access from their smart devices, soon users will be able to experience the same exact workflow on their desktop as on their smart phone. The new Timeline format for brands, once available on the mobile network, will enable page managers to curate an identical experience for all users, regardless of how they’re accessing branded content on Facebook. This means a big impact on your brand’s reach, especially as we consider that nearly half of the active Facebook user population interacts with the network from their mobile device. Implications for brands: To date, there has been no advertising reach to any Facebook users on mobile devices. In light of the fact that approximately 450 million Facebook users interact with the network using a mobile device, this was an enormous opportunity lost to marketers— until now. Sponsored Story ad units are the only ones being released to mobile Timelines— this means that promoting these “organic word of mouth” advertising units will become a major part of every marketers mission. In a sense, it’s a bit silly to call 2012 the Year of Mobile because every year since the release of Apple’s ill-fated Newton has been the Year of Mobile. We have always been moving toward computing devices that are smaller, faster, and cheaper. According to research by Morgan Stanley, the number of people who access the Internet primarily from mobile devices will surpass desktop users sometime in 2013. Tags: 2012, Apple, brand, Facebook, iPhone, marketers, mobile, mobile device, Morgan Stanley, sponsored story, Timeline, Year of Mobile. 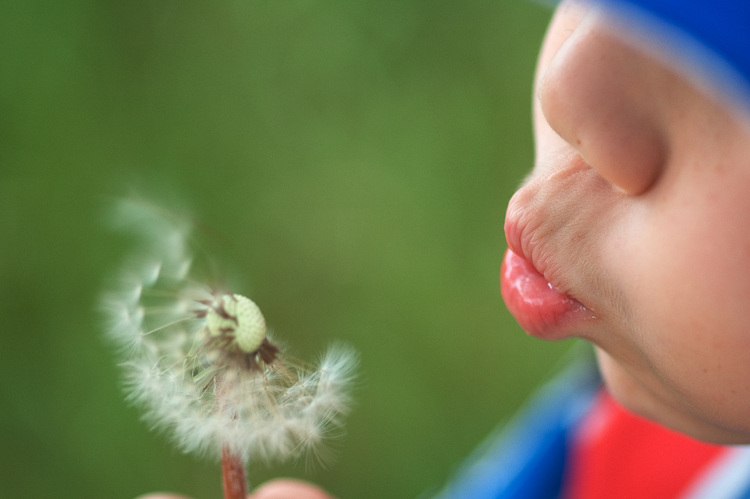 Make a Wish in Leap Second 2012! On June 30 2012 at 23:59:60 UTC a leap second will make the day one second longer. The leap second is inserted between 23:59:59 and 00:00:00 UTC to compensate for variations in the rotation of the Earth. Most clocks will just ignore the leap second, but Time.is will count all the way up to 60 seconds! 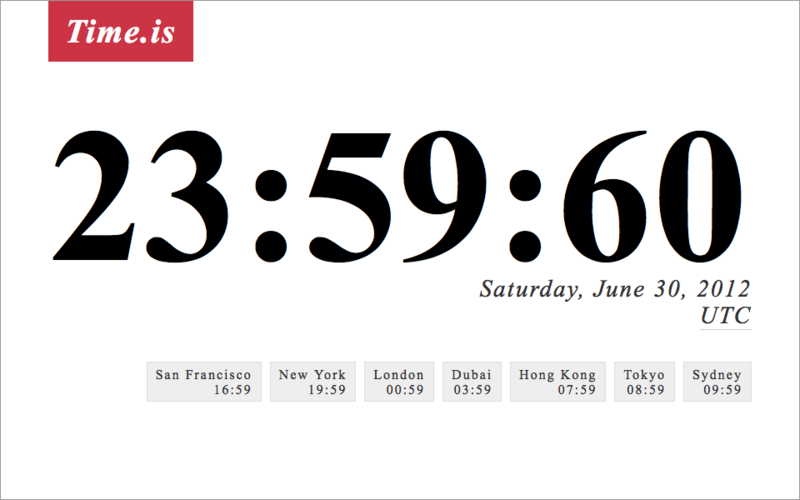 The leap second does not occur on June 30 everywhere! The date and time depends on your time zone. In Trabzon the leap second will occur at 02:59:60 1 Temmuz 2012, Pazar. To check other locations, use the search box above. I believe this motto or I want to believe in this, this is a given extra second! So I ll make a wish for a better world, please share this ! Tags: 2012, 30 June 2012, exact time, extra second, Leap Second, make a wish, time zone, Time.is. Facebook’ s huge growth is against to business books. We havent been told this at college. No company can gain profit over profit. Now, they announced that their first-quarter earnings and revenue declined from the fourth quarter, as a surge in spending on marketing and product research ahead of its initial public offering. For the March ended quarter, Facebook posted total revenue of $1.06 billion up 45% from the same period last year but down 6% from the fourth quarter. The sequential decline in revenue came despite a steady increase in monthly active users to 901 million, from 845 million in December. The social network, which makes the majority of its revenue from advertising, has attracted some potential investors for the rocketing growth of its advertising business, but encountered some seasonality in that business. Facebook, in its regulatory filing, said average revenue per user, or ARPU, declined 12% from the fourth quarter. The company attributed the decline to “seasonal trends” and the fact that user growth was higher in markets where it generates less revenue per user. Tags: 2012, active users, decline, Facebook, first quarter, revenue, rocketing growth. It’s easy to forget that, despite the massive growth of smartphones in recent years, mobile marketing is still relatively young and marketers are still trying to get to grips with the format. However, its importance for marketers continues to grow and while it’s far too early to say whether it’ll explode like some analysts are suggesting, it’s still a sector that will continue to expand over the coming years. The latest report relating to this, most specifically search advertising, comes from search marketers Marin Software and its report “The State of Mobile Search Advertising In the US”. As part of their findings, Marin has estimated that by December 2012, mobile devices will account for roughly 25 per cent of all paid-search clicks on Google. Marin also estimate that of the total ad spent that Google will receive, 23 per cent of this will originate from mobile campaigns, 45 per cent of this figures will originate from tablet devices. Another area that was analysed was the click through rate (CTR) and the cost per click (CPC) across the different devices. For 2011, smartphones had the highest average CTR with 4.12 per cent in comparison to desktops which only had 2.39 per cent, showing that smartphone users were more likely to click on ads. Also the average CPC was found to be cheaper for smartphones too ($0.53 per click), the average CPC for desktops was found to be $0.83 per click. However the parts were smartphones begin to falter is in the conversion and the cost of conversion. 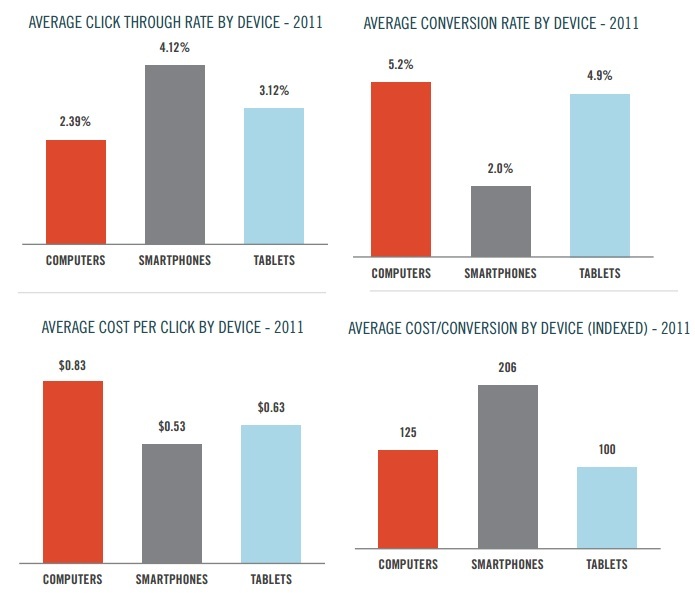 Both tablets and desktop computers outperformed smartphones in average conversion rate, (smartphones have an average conversion rate of 2.0 per cent in comparisons to desktop’s 5.2 per cent), as well as having a higher average cost per conversion. Although it’s hard to say how exactly mobile advertising will pan out, a theory for the higher click through rates could be because that while desktop ads on Google are numerous and smaller, smartphone ads take up the entire screen as Google Ads are usually the first two results you see whenever you search for something. Tags: 2012, December, mobile marketing, Paid-Search Ads, smartphone. Google, Facebook, Youtube and Windows Live still dominate Turkish web market in February 2012. Tags: 2012, Facebook, google, Turkish web market, Windows Live, Youtube. Twitter is one of the most popular Social Networking Site (SNS) and Micro-blogging platform in the world. It enables its users to share text messages with a length constraint of 140 characters. These messages (aka tweets) are publically visible, by default. Any user can subscribe to tweets from other users by following them. Users can tweet through Twitter website or Twitter clients and apps for desktops, tablets, or smartphones. Twitter started as a service in 2006. It gained immense popularity in 2009-10. As on 8 Sep 2011, as per Twitter official blog, Twitter had 100 Million active users. More than half of them logged in each day. As on 26 Jan 2012, as per Twitter official blog, 1 Billion tweets were send every four days, which means 250 Million tweets were shared every day. With so many users connected to the platform and using it on a regular basis, it is becoming an attractive destination for the advertisers. Unlike other SNS websites, Twitter hasn’t yet started offering the option of ‘Display Ads’ to the advertisers. Instead, it has provided them with the following innovative ways to reach the users: Promoted Accounts – Businesses can scale up their follower-base through Promoted Accounts product. The promoted account appears in search results and within the ‘Who to Follow’ section (powered by Twitter’s account recommendation engine). Promoted Accounts are offered through Cost-Per-Follow (CPF) auction, where a business is charged when a user converts into a follower. Promoted Tweets – Businesses can promote key messages through Search Results to the non-followers of their account. Promoted Tweets can also be targeted at followers of a business or at the users having similar profile to that of a follower. Promoted Tweets are offered through Cost-Per-Engagement (CPE) auction, where engagement is defined as click, favorite, retweet, or reply of a promoted tweet. Promoted Trends – Businesses can leverage Promoted Trends product to scale conversations and build mass awareness. Trends reflect hottest topics of discussion during a moment. They appear next to a user’s timeline. Promoted Trends appear at the top in the Trends section. Twitter is an example of a multi-sided platform. Twitter has built an App ecosystem. Twitter offers APIs that help developers build third party apps. Twitter for Websites (TfW) allows easy integration of twitter into websites with Tweet and Follow buttons. Search API allows a user to query Twitter content and find tweets meeting a search criterion. REST API allows access to core Twitter objects such as timelines, status updates, and user information. Streaming API provides real-time access to Twitter firehose. It helps developers with data-intensive needs. Search Vendors – Twitter licenses full feed of public tweets to search engine vendors such as Microsoft (Bing Social), Google (Google Realtime), and Yahoo. This helps in enabling real-time search and discovery. Device Vendors – Twitter partnered with Apple to enable deep integration of Twitter in iOS5 mobile operating system for iPad, iPhone, and iPod touch. This means users can tweet directly from Apple apps such as Camera, Photos, and Safari, along with third-party apps such as Flipboard, Livingsocial, and Instagram. Media – Twitter has entered into partnerships with companies such as Mass Relevance and Crimson Hexagon to help media companies and brands deliver compelling Twitter integration to their users more easily. This can help media companies capture real-time reactions to the important news. Though these partnerships are not major source of revenue, they help in expanding user base. Additional visibility drives further growth for Twitter. Mobile operators – Twitter has partnered with Telecom operators across the globe to enable users to send and receive tweets from mobile phones using SMS. Tags: 1 billion tweets, 2006, 2012, Bing, Blog, google, Microsoft, Twitter. Tags: 2012, 540 million, Brazil, Japan, retweet, revenue, Twitter, US.